The Worldview Project International Book Club! Each month The Worldview Project International Book Club features a book for discussion that aligns with The Worldview Project's mission to promote greater cross-cultural awareness, knowledge, and understanding. Additionally, throughout the month we will e-mail announcements designed to 'take you deeper' into the highlighted culture—such as local events, articles, interviews, art, music, movies, restaurants, recipes, current events, further readings, etc.—all curated to enhance and deepen your experience. We invite you to join us on the first Tuesday of each month for a unique, informative and lively gathering to discuss and share what we have read, experienced, and learned. 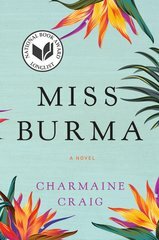 Join us for a delightful outdoor evening event, featuring a discussion with Ms. Charmaine Craig about her critically acclaimed novel, Miss Burma, long listed for the 2017 National Book Award for Fiction and the 2018 Women as Prize for Fiction. Book Synopsis: From the Publisher: "Set against the vibrant backdrop of Burma from the 1940s to the 1960s, Miss Burma is a powerful and epic novel that follows one prominent Burmese family struggling to overcome war and political repression while trying to build a meaningful life. Based on the story of the author's mother and grandparents, Miss Burma is a captivating portrait of how modern Burma came to be and of the ordinary people swept up in the struggle for self-determination and freedom." You can purchase the book at our Amazon Multiculturalbooks.org link: LINK, new, used, paperback, hardback and Kindle available. Warwick's in La Jolla is offering a 20% discount to WVP members on our current book selection. Call ahead to be sure they have a copy for you at 858-454-0437, WARWICK'S. 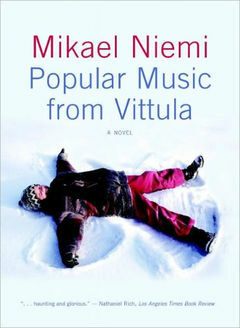 Book Synopsis: Popular Music from Vittula tells the fantastical story of a young boy's unordinary existence, peopled by a visiting African priest, a witch in the heart of the forest, cousins from Missouri, an old Nazi, a beautiful girl with a black Volvo, silent men and tough women, a champion-bicyclist music teacher with a thumb in the middle of his hand—and, not least, on a shiny vinyl disk, the Beatles. The story unfolds in sweltering wood saunas, amidst chain thrashings and gang warfare, learning to play the guitar in the garage, over a traditional wedding meal, on the way to China, during drinking competitions, while learning secret languages, playing ice hockey surrounded by snow drifts, outsmarting mice, discovering girls, staging a first rock concert, peeing in the snow, skiing under a sparkling midnight sky. In the manner of David Mitchell's Black Swan Green, Mikael Niemi tells a story of a rural Sweden at once foreign and familiar, as a magical childhood slowly fades with the seasons into adult reality. You can purchase the book at our Amazon Multiculturalbooks.org link: LINK, new, used, paperback, hardback and Kindle available. Warwick's in La Jolla is offering a 20% discount to WVP members on our current book selection. Call ahead to be sure they have a copy for you at 858-454-0437, WARWICK'S". I'm excited to announce that our October book is the 2017 selection for the KPBS One Book, One San Diego, The Sandcastle Girls. The book revolves around the Armenian Genocide of 1915 and its refugees in Syria. While we have previously read and studied both of these countries, there is always more to learn. The author will be in town for the official launch of the OBOSD project on September 12 and September 13, 2017. Please consult with KPBS website for more details on the launch, RSVP and other related OBOSD events: LINK. Book Synopsis: When Elizabeth Endicott arrives in Aleppo, Syria, she has a diploma from Mount Holyoke, a crash course in nursing, and only the most basic grasp of the Armenian language. It's 1915, and Elizabeth has volunteered to help deliver food and medical aid to refugees of the Armenian Genocide during the First World War. There she meets Armen, a young Armenian engineer who has already lost his wife and infant daughter. After leaving Aleppo and traveling into Egypt to join the British Army, he begins to write Elizabeth letters, realizing that he has fallen in love with the wealthy young American. I have a few remaining copies of the book courtesy of KPBS. I will distribute first at the September 5th meeting, then remaining copies will be at the Worldview Project office at 2445 Morena Blvd., Suite 210, San Diego, CA 92110 - Generally open from 10-5, but call first to be sure someone is in the office, (858) 356-7124. Or you can purchase the book at our Amazon Multiculturalbooks.org link: LINK, new, used, paperback, hardback and Kindle available. Warwick's in La Jolla is offering a 20% discount to WVP members on our current book selection. Call ahead to be sure they have a copy for you at 858-454-0437, WARWICK'S. Speaking of reading about Armenia two years ago, if you would like, you can reference my posts from then for some background (LINK) and here: LINK)>/a>. Especially pertinent regarding Micah's visit is 100 Years 100 Facts, a novel project to document the Armenian Genocide 100 year anniversary LINK. The lead researcher and author of the project and book, Lena Adishian, is a friend of Micah's and he will be talking about her book and project as well. I had the delightful opportunity to hear our author, Chris Bohjalian, speak at the One Book, One San Diego launch last week. What a passionate and articulate man! He has written 17 books to date, with another due to launch next March. 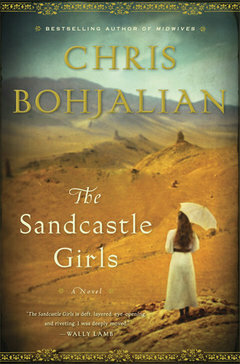 The Sandcastle Girls was released in 2012, but Mr. Bohjalian confessed that he first wrote about the Armenian Genocide 20 years prior. He explained to the audience that his first attempt was angry and horrible and he needed time to mature enough to write it again to make it more "palatable" (his word, not mine). The main character of the book, Laura, he considers to be a female version of himself which allowed him to delve further into the emotional aspects of the story. For more information about Chris Bohjalian, please check his website: LINK. If you want to remain in the Armenian groove next month, their cultural festival is coming up Saturday, October 21, and Sunday, October 22, 2017, at St. John Garabed Armenian Church at 4473 30th St., San Diego, 92116 (Normal Heights). Music, dance, crafts, food and wine! For more information, consult their website: LINK. There are still lots of One Book, One San Diego events going on through November. Check the KPBS website for more details: LINK. I have a few copies of the book courtesy of KPBS that are available at the Worldview Project office at 2445 Morena Blvd., Suite 210, San Diego, CA 92110 - Generally open from 10-5, but call first to be sure someone is in the office, (858) 356-7124. Due to the conflict of our regularly scheduled meeting falling on the 4th of July and being unable to find a mutually agreeable date substitution, we have cancelled the July meeting. On to August and beyond! In conjunction with Comic Con coming up in late July, our August Book is a graphic memoir featuring Vietnam and the refugee experience, The Best We Could Do. The author, Thi Bui, will be a panelist at Comic Con and will also Skype with us for our meeting. Book Synopsis: This beautifully illustrated and emotional story is an evocative memoir about the search for a better future and a longing for the past. Exploring the anguish of immigration and the lasting effects that displacement has on a child and her family, Bui documents the story of her family's daring escape after the fall of South Vietnam in the 1970s, and the difficulties they faced building new lives for themselves. 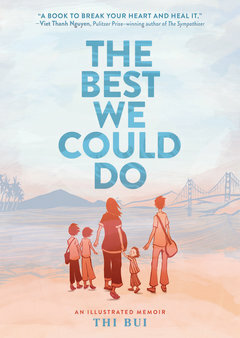 In what Pulitzer Prize-winning novelist Viet Thanh Nguyen calls "a book to break your heart and heal it," The Best We Could Do brings to life Thi Bui's journey of understanding, and provides inspiration to all of those who search for a better future while longing for a simpler past. An intimate and poignant graphic novel portraying one family's journey from war-torn Vietnam, from debut author Thi Bui. 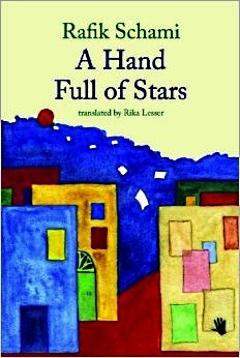 You can purchase the August book at our Amazon Multiculturalbooks.org: LINK, available new, used, hardback and Kindle. Warwick's in La Jolla is offering a 20% discount to WVP members on our current book selection. Call ahead to be sure they have a copy for you at 858-454-0437, LIST. The first three on this list are fiction options: LIST. Here are the nine finalists for the One Book selection: KPBS LINK. Our upcoming June book, An Unnecessary Woman, has been on my wish list for years. 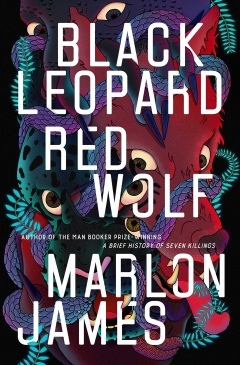 It was a finalist for the National Book Award in 2014 and won numerous other awards, including the California Book Award, so we can count on an excellent read. 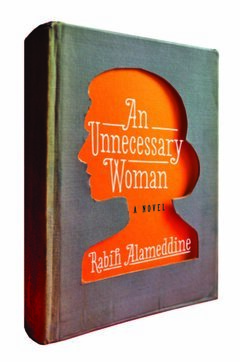 Book Synopsis: An Unnecessary Woman is a breathtaking portrait of one reclusive woman's late-life crisis, which garnered a wave of rave reviews and love letters to Alameddine's cranky, yet charming, septuagenarian protagonist, Aaliya, a character you "can't help but love" (NPR). Aaliya's insightful musings on literature, philosophy, and art are invaded by memories of the Lebanese Civil War and her volatile past. As she tries to overcome her aging body and spontaneous emotional upwellings, Aaliya is faced with an unthinkable disaster that threatens to shatter the little life she has left. Here, the gifted Rabih Alameddine has given us a nuanced rendering of one woman's life in the Middle East and an enduring ode to literature and its power to define who we are. You can purchase the June book at our Amazon Multiculturalbooks.org link: LINK, available new, used, hardback and paperback, and Kindle. In a marvelous stroke of serendipity, I stumbled upon the announcement of the Lebanese Festival which is coming up this Memorial Day weekend in El Cajon. It looks like a limited affair on Friday night, but a full-stop food and cultural extravaganza on Saturday, May 27, and Sunday, May 28, from 11:00am-10:00pm. Check out the details here: LINK. Another achievement of excellent planning on my part (which translates to dumb luck) was this delightful piece I heard last week on PRI's The World profiling a Lebanese photographer who travelled to 25 U.S. towns named Lebanon to see and understand the heartland of America: LINK. Here is an interview with Mr. BouKaram conducted with by NPR's Scott Simon: LINK, and a gorgeous slide show of his photographs here: LINK. Thank you to book club member, Carolisa, for giving a fabulous recommendation for the Lebanese restaurant, Alforon, located near 60th Street on El Cajon Boulevard. She said their food was "truly delicious" LINK. Also a popular spot with Yelp's list is Mama's Lebanese Kitchen, on Alabama Street, near El Cajon Boulevard LINK. I've eaten there before and it was delicious! Here's the full Yelp list in case neither of these two are nearby: LINK. Speaking of fabulous food, don't forget about the Lebanese Festival coming up this Memorial Day weekend in El Cajon. It is a limited affair on Friday night, but a full-stop food and cultural extravaganza on Saturday, May 27, and Sunday, May 28, from 11:00am-10:00pm. Check out the details here: LINK. Lebanon has so much amazing culture, it's hard to curate just a few items for your enjoyment. Try glancing through The Culture Trip's website for a wide variety of subjects: LINK. Today, Lebanon is at the crossroads of the civil war in Syria and has a fragile relationship with Israel, yet it remains a key ally to the United States and the European Union. Read more about this fascinating dynamic here: LINK. 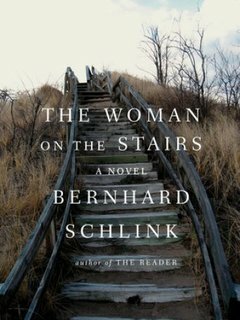 On Tuesday, May 2, we will gather to discuss Germany and The Woman on the Stairs. BOOK LINK. If you were not able to make the German Dinner event this week, you missed an extraordinary of talk by author Bernhard Schlink. He gave us numerous glimpses into Germany and its unique culture. The book reads a bit like a mystery and is an enjoyable, quick read. Book Synopsis: In a museum far from home, a man stumbles onto a painting of a woman for whom he once, long ago, risked everything and who then mysteriously disappeared from his life. All of these are available new and used paperback, and Kindle. I even saw a few used copies of the The Reader at Adams Avenue Book Store: LINK. Kindle and hardback (new and used) are available. This month, we will travel to Rwanda. Book Club member, Paula H., has visited this amazing country many times for her dissertation, Business and Economic Empowerment: Stories from Women of Rwanda, and she will be showing us slides from her travels. 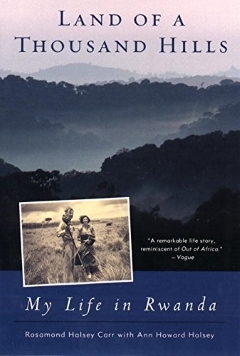 Synopsis: In 1949, Rosamond Halsey Carr, a young fashion illustrator living in New York City, accompanied her dashing hunter-explorer husband to what was then the Belgian Congo. When the marriage fell apart, she decided to stay on in neighboring Rwanda, as the manager of a flower plantation. Land of a Thousand Hills is Carr's thrilling memoir of her life in Rwanda--a love affair with a country and a people that has spanned half a century. During those years, she has experienced everything from stalking leopards to rampaging elephants, drought, the mysterious murder of her friend Dian Fossey, and near-bankruptcy. She has chugged up the Congo River on a paddle-wheel steamboat, been serenaded by pygmies, and witnessed firsthand the collapse of colonialism. Following 1994's Hutu-Tutsi genocide, Carr turned her plantation into a shelter for the lost and orphaned children-work she continues to this day, at the age of eighty-seven. Kindle and paperback (new and used) are available. We are trying out a new, bigger meeting venue for our monthly meetings. We have secured classroom space at DeVry University in Mission Valley, just east of Qualcomm Way, next to Dave & Buster's. Fortunately, they will allow us to bring food in, so we can keep up with our culinary delights. The Culture Trip website has many links on all the various parts of Rwandan culture: LINK. Ms. Carr's life and work was centered around the Lake Kivu area. Lake Kivu is one of Africa's Great Lakes and is located between the Democratic Republic of Congo and Rwanda. The countryside surrounding the lake is some of the most fertile in Africa, with coffee, tea and pyrethrum plantations dotting the slopes and making up most of Rwanda's agricultural exports: LINK. One of the reasons this land is so lush is the volcanic soil from the surrounding Virunga range of volcanoes: LINK. Here is a recent article about the lake and how Congo and Rwanda made metaphorical lemonade out of nature's lemons: LINK. At the end of our book, Ms. Carr has survived the genocide that ravaged the country in only a few short months in 1994. As many as 800,000 Rwandans were dead--mostly of the Tutsi minority--by the hands of the Hutsi majority. For more information on the genocide, here is a good link and a few short videos from the History Channel: LINK. If you would like to know about this tragic time, you might consider renting Hotel Rwanda, or reading the book that inspired the movie, An Ordinary Man, by Paul Rusesabagina: LINK., or We Wish to Inform You That Tomorrow We Will Be Killed with Our Families: Stories from Rwanda, by Philip Gourevitch: LINK. Both come highly recommended by our Rwandan presenter, Paula Herring. Or you can search out a documnentary on the subject here: LINK. Speaking of Paula, she recently wrote her dissertation on Business and Economic Empowerment: Stories from Women of Rwanda. Here is a link if you would like to read an abstract: LINK. If you would like to read the entire document, let me know and I will have her email you a copy. Amazingly, Rwanda recovered reasonably quickly after the genocide, and the people of the country work incredibly hard to reconcile. Here are couple of wonderful articles detailing the power of healing: LINK, LINK, LINK, and LINK. 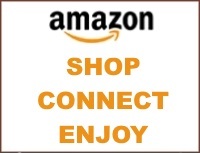 You can purchase the book at our Amazon Multiculturalbooks.org link: LINK. Kindle and paperback (new and used) are available. If you've reached the end of the book, you know that Ms. Carr was an amazing woman who despite the horrendous genocide that happened around her, she remained steadfast in her love of Rwanda and its people. She repaid her adopted country with the ultimate act of gratitude and restoration -- opening an orphanage on her flower plantation for lost, abandoned and parentless children. Read more about her and her orphanage here: LINK, and here: LINK. I love to end my last post of each country with food information, however, I've been informed that interesting food is not one of Rwanda's strong suits. Regardless, I did find a few articles to give you a small overview: LINK, and: LINK. If you want to just enjoy African cuisine, you might try one of these yummy restaurants in San Diego: LINK. This event will commence at 6:30 PM and last for about an hour, hopefully including a personal story from a refugee volunteer. After the event, we will discuss our book. There will be no snacks at this meeting due to space and time limitations. This is an RSVP only event, as we meet at their unpublicized location in Old Town. We should end around 8:00 PM and anyone who is interested can gather for Taco Tuesday at a nearby restaurant. Book Synopsis: Over the past decade, Mary Pipher has been a great source of wisdom, helping us to better understand our family members. Now she connects us with the newest members of the American family--refugees. In cities all over the country, refugees arrive daily. Lost Boys from Sudan, survivors from Kosovo, families fleeing Afghanistan and Vietnam: they come with nothing but the desire to experience the American dream. Their endurance in the face of tragedy and their ability to hold on to the virtues of family, love, and joy are a lesson for Americans. Their stories will make you laugh and weep--and give you a deeper understanding of the wider world in which we live. The Middle of Everywhere moves beyond the headlines into the homes of refugees from around the world. Working as a cultural broker, teacher, and therapist, Mary Pipher has once again opened our eyes--and our hearts--to those with whom we share the future. 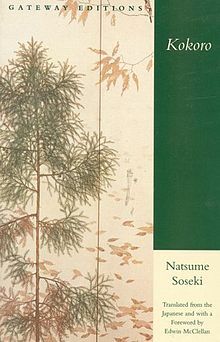 Book Synopsis: No collection of Japanese literature is complete without Natsume Soseki's Kokoro, his most famous novel and the last he completed before his death. Published here in the first new translation in more than fifty years, Kokoro—meaning "heart"—is the story of a subtle and poignant friendship between two unnamed characters, a young man and an enigmatic elder whom he calls "Sensei." Haunted by tragic secrets that have cast a long shadow over his life, Sensei slowly opens up to his young disciple, confessing indiscretions from his own student days that have left him reeling with guilt, and revealing, in the seemingly unbridgeable chasm between his moral anguish and his student's struggle to understand it, the profound cultural shift from one generation to the next that characterized Japan in the early twentieth century. As you know our book this month, Euphoria, is a novel loosely based on Margaret Mead's seminal anthropological work in Papua New Guinea. She was best known for her study of the non-literate people of Oceania and produced 23 books and numerous articles on the subject. Here is a short biography of her life: LINK. And here you will find a great comprehensive video edisode of her life and work: LINK. In case you need some inspiration to spark conversation this Thanksgiving, here is a collection of some of her famous quotes: LINK. Author Lily King paints a vivid and exciting picture of this place and time in history, using Margaret Mead's work and life story as a template. While the tribes depicted in the book are fictional, many of their characteristics are based on Ms. Mead's studies. The Library of Congress has many letters, manuscripts and photos from Ms. Mead's study in Papua New Guinea. Explore more here: LINK. The Sepik River basin is a real place; it is the largest river in Papua New Guinea and the life force of the people. Here is a wonderful website that gives an overview of the region: LINK. Also, here is a great post on the plight of the crocodile and its spiritual significence on the Sepik River tribes: LINK. For a deeper look at one tribe along the Sepik River, I found this fascinating short profile of the Dani tribe, which appears to have similiar customs to the fictious tribes in Euphoria: LINK. If you are interested in linguistics, I found an article on the languages of Papua New Guinea and its pidgin (phoenicly simplified language): LINK. As you can imagine, the native art of this magical country is fantastic. I love the color and texture of the items featured here: LINK. There are also a few articles linked in this site. If you are ready to hop on the next plane to visit this exotic land, enjoy here for motivation, details and photos: LINK, here: LINK. Book Synopsis: Their marriage rites were beautiful, in the tradition of Old China. Their honeymoon was exquisite... until the bridegroom mysteriously lost his sexual powers. 'Eat a Bowl of Tea' is a compelling story of life in the Chinese-American community of New York City. It's pages come alive with the maneuvers of the Tong leaders, the colorful visitors to the Money Come mah-jong club house, the gossip of closely-knit Chinatown. Mei Oi's girlish dreams were of the day she might marry and go to the Golden Mountain to live. It was the dream come true when Ben Loy arrived in her native village from the United States to take a bride. To Ben Loy, Mei Oi's beauty was perfect as a star. to Mei Oi, Ben Loy was a handsome 'gimshunhock' warrior from New York. Neither seemed to care that their marriage had been arranged in advance of their meetings by their parents. It was a marriage of tension, turmoil and frustration. You can purchase the book at our Amazon Multiculturalbooks.org link: LINK. New and used paperback are available. I hope you have had a chance to start our book for this month, Eat a Bowl of Tea: A Novel of New York's Chinatown. It's a quick read, but chock full of colorful language (yes, "wow your mother" is considered a watered-down version of an expletive), colorful characters and a fascinating slice of life. Hopefully your version has an introduction written by Jeffrey Chan, as it gives the reader some background to the circumstances of the book. The book was originally published in 1961, but takes place just after World War II. The men featured in the story were part of a group known as the Bachelor Society. "In 1882, the United States passed the Chinese Exclusion Act which banned Chinese from entering the country. This law prohibited wives and children from entering the country. Consequently, the Chinese and Chinese Americans could not have families. This created a society made up of men who were bachelors only because of the law prohibiting their wives and children to enter the United States." For more information and photos, consult this great blog: LINK. LINK. (There is a Part Three, however, I can't seem to find a link.) Finally, here is an interesting perspective on how prejudice and stereotying contributed to creating America's Chinatowns: LINK. Don't forget that on Saturday, November 5, 1:25 PM at the UltraStar Theater in Mission Valley, the Asian Film Festival will be showing the director's cut of the film, Eat a Bowl of Tea. Worldview Project has purchased a block of 20 tickets, available to our members and friends at $9.00 each (normally $11 each). Please let me know if you would like to purchase a ticket or two and I will bring them to our meeting on November 1st or we can arrange for a pick-up at the office. For more information on the film, visit: LINK. For the full festival details, visit: LINK. You can purchase the book via our Amazon Multiculturalbooks.org link: LINK, New and used paperbacks are available. The Asian Film Festival is truly one of San Diego's finest cultural events of the year. 140 film showings in 18 languages over ten days in six different countywide venues...there is truly something for everyone. For a wonderful, comprehensive article on the festival and details, visit: LINK. San Diego has a long and rich history with Chinese immigrants. Our own San Diego Chinese History Museum, located downtown, presents numerous opportunities to learn more about the Chinese-American experience right here in our backyard. Our San Diego Participant Observer e-magazine, has a fabulous feature article on the museum: LINK. Also, San Diego has it's own Chinese Historic District centered around the Museum. Their website has a bit of history about this little gem of hidden San Diego, along with photos of the buildings and artifacts represented in the district: LINK. If you are interested in learning more about the game of mahjong, here is a great article on its influence on modern America: LINK. Per usual, I love ending my posts with food information. San Diego has dozens of fabulous Chinese restaurants. San Diego magazine put together an "Ultimate Asian Food Guide" a few years ago: LINK. Book Club member, Maureen, highly recommends Dumpling Inn on Convoy: LINK, and Tom and Shari's favorite hot spot is Spicy City, also on Convoy: LINK. In anticipation of a large crowd, location TBA. But expect a fiesta! Please contact Sharon Payne at to find out where we will be meeting. "Have mercy on me, Lord, I am Cuban." In 1962, Carlos Eire was one of 14,000 children airlifted out of Havana—exiled from his family, his country, and his own childhood by Fidel Castro's revolution. Winner of the National Book Award, this stunning memoir is a vibrant and evocative look at Latin America from a child's unforgettable experience. Waiting for Snow in Havana is both an exorcism and an ode to a paradise lost. For the Cuba of Carlos's youth—with its lizards and turquoise seas and sun-drenched siestas—becomes an island of condemnation once a cigar-smoking guerrilla named Fidel Castro ousts President Batista on January 1, 1959. Suddenly the music in the streets sounds like gunfire. Christmas is made illegal, political dissent leads to imprisonment, and too many of Carlos's friends are leaving Cuba for a place as far away and unthinkable as the United States. Carlos will end up there, too, and fulfill his mother's dreams by becoming a modern American man—even if his soul remains in the country he left behind. Even though we read Cuba not long ago, I can't help but be excited to dive in again. A lot has changed in the country in the last year and a half. Just a few months ago, President Obama became the first sitting president to visit the country since the embargo went into effect in 1959: LINK. It will be fascinating to explore more in the reading this month. One of Cuba's true strengths is its recognition and emphasis on the arts. 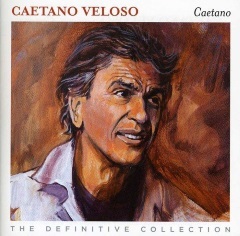 I found this beautiful blog that is dedicated to connecting people to Cuba and Cubans living all around the world: "Featuring a wide range of contributors, the blog provides a place for poets, authors, personalities, scholars, and celebrities to share stories that lay bare the laughter and sorrow of being Cuban" (http://bridgestocuba.com/). Also in the cultural world, these indepth posts on the arts and beauty of Cuba will show you some of what makes Cuba unique: LINK,LINK and LINK. LINK Kindle and paperback (new and used) are available. 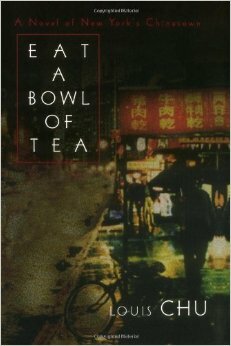 Up next: November 1, 2016 - China - Eat a Bowl of Tea: A Novel of New York's Chinatown, by Louis Chu (To coordinate with The Asian Film Festival showing of the director's cut of this film on November 5, 2016). You can purchase the book via our Amazon Multiculturalbooks.org link: LINK, New and used paperback available. 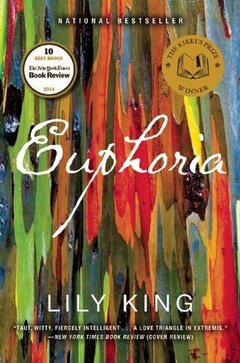 December 6, 2016 - Papua New Guinea - Euphoria, by Lily King, You can purchase the book at our Amazon Multiculturalbooks.org link:LINK Kindle and paperback (new and used) are available. Book Synopsis: Behold, a singular structure soars above the banks of the Oum er-Rbia, Mother of Spring River, within the ramparts of the 16th century medina of Azemmour, Dar Zitoun, erstwhile House of the Pasha. Into her late father's painstakingly restored riad, Moorish mansion, the author of Mint Tea and Minarets, an expert on Moroccan cuisine and heir to the property, warmly coaxes you. Generations of cooks and centuries of celebration there sweeten the invitation. Dar Zitoun has many delicious stories to tell. An hour south of the author's native Casablanca, scour the Azemmour souk for seasonal ingredients, then meet Dar Zitoun's gifted cuisinier/gardien Bouchaïb to concoct aromatic tagines. In the footfall of her recently deceased father, the author uncovers the provenance of her culinary passion: Dar Zitoun was an ancient cooking school. Follow Kitty as she seeks out bibi beldi, free-range turkey, at a farm on the Doukkala plain and is instructed in falconry by Kwacem tribesmen, the only commoners authorized to capture and train the raptors. Frequent a local camel market and hunt for the source of the Oum er-Rbia in the High Atlas Mountains. Having grown up in North Africa during the French Protectorate, a unique time in history, the author has a pied-noir's rarified perspective. Fresh burdens as her father's executor, including a marathon quest for the riad's title through Morocco's Byzantine legal system, help build an appetite, as do the family recipes that accompany the tales just told and the amusing cast of characters in this cultural mosaic that characterizes the northwest corner of Africa, Al Mahgreb Al Aqsa, Land Where the Sun Sets. Paperback, available, new and used. I hope everyone has enjoyed their summer. I'm looking forward to our Moroccan event in a few weeks. We'll have a lot going on for our meeting, so I'm going to open a bit early so we can get it all in. Author Kitty Morse will be our guest speaker and will be showing us a lovely photographic presentation and discussing her memoir and Dar Zitoun. Here is her website for more indepth information: LINK. 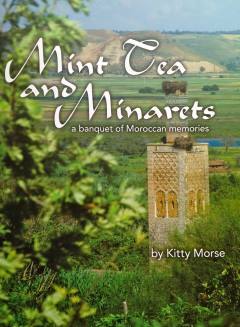 Besides her memoir, Mint Tea and Minarets, she has written nine cookbooks!! Yum! She also writes a lovely newsletter, The Kasbah Chronicles, if you want to catch up on her issues and follow her adventures and musings: LINK. It includes more delicious looking recipes. Also, we will have another guest, Michelle Huber, a local interior designer who has a passion for Moroccan and Tunisian textiles. All items in her cache of textiles are produced by local artisans in a fair-trade manner and financially supportive of education for Tunisian young women. She will have a table set up displaying her gorgeous textiles. For a sneak peak, visit her website at LINK. Thank you, Zoraida, for doing research for me on Azemmour and Morocco. She found some great links. Here is a great little description and map of Azemmour, plus video of the Riad Azama, a jewel of a restored hotel located in Azemmour and a brief written description of town and the Riad Azama: LINK. (By the way, the term 'riad' means garden, but it is applied to town houses built around a central courtyard.) Also, here is a delightful, short video with beautiful music in the background that will transport you into the local culture; meander through traditional shops, spice markets, preparationsons of a bride for her wedding with embellishments, and images of transportation: LINK. Here is another wonderful blog featuring Casablanca that includes a video "Salut Casa" that came out in 1954 and Jean Vidal shot it in the course of 1951-52: LINK. In the video at 12 minutes, 40 seconds, you can see what the old clock in the Place de France looked like in the early 1950s. You can also see a picture of the Place de France and the Clock Tower on the right side, below in the same post with a descriptive closed caption (mentioned on page 203). Here are some great photojournalistic pictures to peruse: LINK. Finally, here is a post from a Bulgarian tourist and his comments on his visit to Dar Zitoun: LINK. Exciting news! The KPBS One Book, One San Diego book has been announced: Waiting for Snow in Havana, by Carlos Eire. It looks like an amazing book and although we have already read Cuba, we will delve into this fascinating country again. Read more about it here: LINK. The kick-off event is Tuesday, September 20, at the Central Library; however, the event already shows sold out. Follow the link within their website to keep an eye out on the event page in case you would like to attend and space becomes available, or I believe you can do standby that night for space available. They also have many other events scheduled over the next few months, so check those out as well. We will read the book for our October 4th meeting. Courtesy of KPBS, I have some gratis copies of the book to give out at our September meeting. Otherwise, you can purchase it at our Amazon Multiculturalbooks.org link: LINK Kindle and paperback (new and used) are available. Our author, Kitty Morse, is looking forward to meeting our group. She has given me some great tips to help us delve deeper into Morocco. Her first tip for food is -- of course -- to try her recipes from the cookbook! Next best is to try a cute little bistro in the heart of Hillcrest, called Kous Kous Moroccan Bistro and Lounge, which is owned by a Moroccan name Moumen. She declares that the food is quite authentic. The menu looks amazing. Check it out here: LINK. I tried it and it was fabulous! For a visual treat, you might watch a movie this weekend set in Morocco. Kitty says that many movies with biblical themes are set in Morocco. Turns out Morocco is quite popular as a filming locale featuring the desert or North African city life. Worldview Project's newly redesigned web link to Netflix can help you find movies by region set in Africa: LINK. Also, I found this site that has 10 movies to watch set in Morocco: LINK. If you don't have a Netflix account, here is a an IMDb list of movies to search for: LINK. If you can't find a streeming version to your liking, search the database of our friends at Kensington Video to rent from their amazing collection of hard-to-find and foreign films: LINK. Andrew Zimmern's Bizzare Food has another great episode set in Morocco: LINK. I imagine that will motivate some of us to head to the kitchen or off to Kous Kous to try something new. For a little more fun and ambiance, check out this website for gorgeous pictures and fun commentary on exploring the souks (markets) of Morocco: LINK. Last, I love to photos of the spice markets with all the rich warm colors and the fantastic conical shapes of the bulk spices. Here is a little photo blitz for your viewing pleasure: LINK. I am remiss in providing some background history on Morocco. Kitty has done a great job interspersing history of the region within her story, but in case you are interested in a more concrete timeline, here is the Wiki page on the history of Morroco: LINK. I also found a post about the more recent history of French Morocco here: LINK. Finally, here are some basic facts to peruse: LINK. 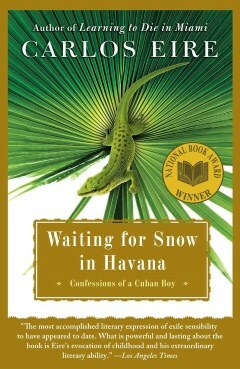 Up next: Waiting for Snow In Havana, by Carlos Eire, KPBS One Book, One San Diego 2016 selection. You can purchase the book at our Amazon Multiculturalbooks.org link: LINK Kindle and paperback (new and used) are available. Book Synopsis: My name is Layla and I was born under an unlucky star. For a young girl growing up in India, this is bad news. But everything began to change for me one spring day in 1943, when three unconnected incidents, like tiny droplets on a lily leaf, tipped and rolled into one. It was that tiny shift in the cosmos, I believe, that tipped us together—me and Manik Deb. Layla Roy has defied the fates. Despite being born under an inauspicious horoscope, she is raised to be educated and independent by her eccentric grandfather, Dadamoshai. And, by cleverly manipulating the hand fortune has dealt her, she has even found love with Manik Deb—a man betrothed to another. All were minor miracles in India that spring of 1943, when young women's lives were predetermined—if not by the stars, then by centuries of family tradition and social order. 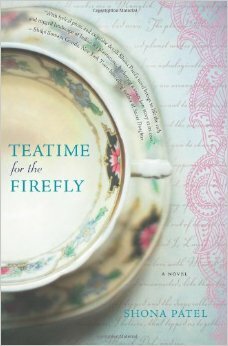 Layla's life as a newly married woman takes her away from home and into the jungles of Assam, where the world's finest tea thrives on plantations run by native labor and British efficiency. Fascinated by this culture of whiskey-soaked expats who seem fazed by neither earthquakes nor man-eating leopards, she struggles to find her place among the prickly English wives with whom she is expected to socialize, and the peculiar servants she now finds under her charge. But navigating the tea-garden set will hardly be her biggest challenge. Layla's remote home is not safe from the powerful changes sweeping India on the heels of the Second World War. Their colonial society is at a tipping point, and Layla and Manik find themselves caught in a perilous racial divide that threatens their very lives. Book Synopsis: "Mammy" is what Irish children call their mothers and The Mammy is Agnes Browne--a widow struggling to raise seven children in a North Dublin neighborhood in the 1960s. Popular Irish comedian Brendan O'Carroll chronicles the comic misadventures of this large and lively family with raw humor and great affection. Forced to be mother, father, and referee to her battling clan, the ever-resourceful Agnes Browne occasionally finds a spare moment to trade gossip and quips with her best pal Marion Monks (alias "The Kaiser") and even finds herself pursued by the amorous Frenchman who runs the local pizza parlor. Like the novels of Roddy Doyle, The Mammy features pitch-perfect dialogue, lightning wit, and a host of colorful characters. Earthy and exuberant, the novel brilliantly captures the brash energy and cheerful irreverence of working-class Irish life. Oh, how I love the cover photo of our book this month. 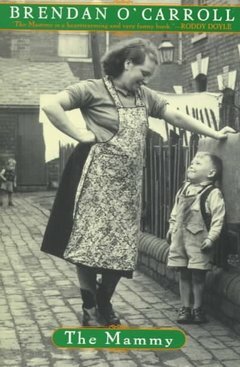 The photo captures that of a "mammy" looking over a mischievous young boy on a cobblestone street, and it warms my heart. It immediately sent me searching on Google for other images of Dublin set in 1967 (which is the time frame of our book). Enjoy this montage: LINK. Our author, Brendan O'Carroll (born in 1955), based the mammy character, Agnes Browne, on his own feisty mother and on a woman he worked for when he was a young boy. As you can read here, O'Carroll's Agnes Browne is a well-loved character in Irish humor: LINK. For background on Ireland, here are a few basics: LINK, LINK. For more specifics on what it was like to be a woman in Ireland during the 1960's, read this fascinating article based on a study of readers' letters to the editor of a woman's magazine: LINK. For a more contemporary view of how the Irish see themselves, here is a lovely blog post: LINK. The Irish sure do have quite a sense of humor and irony. Our book's Agnes is quite a character. Since humor is the theme, I hope you enjoy these cheeky Irish quotes: LINK. Or try adding a few of these delightful Irish sayings into your water cooler conversation this week: LINK. And here is some great myth-busting insights into the Irish people: LINK. The Irish--bless their melancholic, yet witty souls--do tend to produce wonderful novelists. Here is a top ten list of Ireland's best novelists: LINK. Oscar Wilde, one of the top ten mentioned, certainly left the art world a better place. Here are a few of his legacies to the world: LINK. LINK. Agnes Browne was also made into a movie in 1999, starring Angelica Huston: LINK. Further, author O'Carroll not only wrote in a BBC series based on his character Agnes, titled Mrs. Browne's Boys, but he also starred in it--as Agnes herself: LINK. That might be a sight to see! And finally, Irish do have some of the best slang in the world. Here is a fun article with a definition list of a few of the favorites: LINK. If you are up for a movie filmed in Ireland, here is a great list of ten favorites: LINK. And, last but not least, food! Here is a mouthwatering artcile on twelve of the most delightful Irish foods: LINK. If you fancy an Irish Pub outing here in San Diego, visit Worldview Project's neighbor on Morena Boulevard, Dan Diego's (LINK.) or consider picking one from this list of the best Irish pubs in San Diego: LINK. Book Synopsis: A native of Haiti, Dimitry Elias Léger makes his remarkable debut with this story of romance, politics, and religion that traces the fates of three lovers in Port-au-Prince, Haiti, and the challenges they face readjusting to life after an earthquake devastates their city. Reflecting the chaos of disaster and its aftermath, God Loves Haiti switches between time periods and locations, yet always moves closer to solving the driving mystery at its center: Will the artist Natasha Robert reunite with her one true love, the injured Alain Destiné, and live happily ever after? 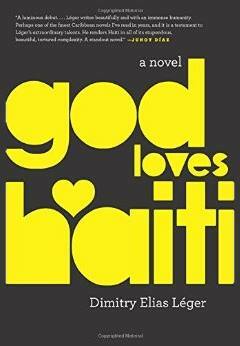 Warm and constantly surprising, told in the incandescent style of José Saramago and Roberto Bolaño, and reminiscent of Gabriel García Márquez's hauntingly beautiful Love in The Time of Cholera, God Loves Haiti is an homage to a lost time and city, and the people who embody it. Book Synopsis: This stunning, exquisitely written collection introduces a cast of remarkable characters whose lives intersect in ways both life-affirming and heartbreaking. A 1930s Soviet censor painstakingly corrects offending photographs, deep underneath Leningrad, bewitched by the image of a disgraced prima ballerina. A chorus of women recount their stories and those of their grandmother's, former gulag prisoners who settled their Siberian mining town. Two pairs of brothers share a fierce, protective love. Young men across the former USSR face violence at home and in the military. And great sacrifices are made in the name of an oil landscape unremarkable except for the almost incomprehensibly peaceful past it depicts. In stunning prose, with rich character portraits and a sense of history reverberating into the present, The Tsar of Love and Techno is a captivating work from one of our greatest new talent. This month we travel to Peru to explore the ancient Inca site of Machu Picchu (translates to 'Old Man' in the Quechua language). Via our author's travelogue, we can experience the adventure of his re-creation of the "discovery" of this sanctuary. Book Synopsis: What happens when an adventure travel expert (who's never actually done anything adventurous) tries to recreate the original expedition to Machu Picchu? July 24, 1911, was a day for the history books. For on that rainy morning, the young Yale professor, Hiram Bingham III, climbed into the Andes Mountains of Peru and encountered an ancient city in the clouds: the now famous citadel of Machu Picchu. Nearly a century later, news reports have recast the hero explorer as a villain who smuggled out priceless artifacts and stole credit for finding one of the world's greatest archaeological sites. Mark Adams has spent his career editing adventure and travel magazines, so his plan to investigate the allegations against Bingham by retracing the explorer's perilous path to Machu Picchu isn't completely far-fetched, even if it does require him to sleep in a tent for the first time. With a crusty, antisocial Australian survivalist and several Quechua-speaking, coca-chewing mule tenders as his guides, Adams takes readers through some of the most gorgeous and historic landscapes in Peru, from the ancient Inca capital of Cusco to the enigmatic ruins of Vitcos and Vilcabamba. Along the way he finds a still-undiscovered country populated with brilliant and eccentric characters, as well as an answer to the question that has nagged scientists since Hiram Bingham's time: Just what was Machu Picchu? Our next book takes us to exotic Sri Lanka (formerly known as Ceylon), described as: "a tiny island nation south of India in the Indian Ocean, is a rugged land of rainforest, diverse wildlife and endless beaches. It's famed for its ancient Buddhist ruins, including the 5th-century citadel Sigiriya, with its palace and frescoes, and the sacred city of Anuradhapura. It's flavorful cuisine reflects its history as a maritime hub and cultural melting pot." (sri lanka) In 2009--after 25 years of civil war--Sri Lanka is back on the map as an amazing destination with deep history and fascinating people. Synopsis: The driver's job is to stay in control behind the wheel and that is all. The past is what you leave as you go. There is nothing more to it. Vasantha retired early, bought himself a van with his savings, and now works as a driver for hire. As he drives through Sri Lanka, carrying aid workers, businessmen, and families and meeting lonely soldiers and eager hoteliers, he engages them with self-deprecating wit and folksy wisdom—and reveals for us their uncertain lives. On his journey from the army camps in northern Jaffna to the moonlit ramparts of Galle, in the south, Vasantha begins to discover the depth of the problems of the past—his own and his country's—and the promise the future might hold. From the writer praised by The Guardian for the "vivid originality" of his vision, here is a wonderful collection—perceptive, somber, finely tuned—that draws a potent portrait of postwar Sri Lanka and the ghosts of civil war. The other major influence to Sri Lanka and it's people is from Buddhism. Here is a great summary of the history of this peaceful religion in this locale: LINK. With the civil war happening in Syria and hundreds of thousand refugees pouring out of their country to seek safer land, I thought we would highlight Syria this month. Synopsis: Amid the turmoil of modern Damascus, one teenage boy finds his political voice in a message of rebellion that echoes throughout Syria and as far away as Western Europe. Inspired by his dearest friend, old Uncle Salim, he begins a journal to record his thoughts and impressions of family, friends, life at school, and his growing feelings for his girlfriend, Nadia. Soon the hidden diary becomes more than just a way to remember his daily adventures; on its pages he explores his frustration with the government injustices he witnesses. His courage and ingenuity finally find an outlet when he and his friends begin a subversive underground newspaper. Warmed by a fine sense of humor, this novel is at once a moving love story and a passionate testimony to the difficult and committed actions being taken by young people around the world. No international cultural reading experience is complete without indulging in food. Food was not specifically mentioned much in our read, but Arrack was quite a bit. It is a clear, colorless alcoholic beverage with an anise flavor and is a traditional drink of the entire Middle East region (with local variations). Learn more about it here: LINK. Also, I found an article in San Diego's locally produced food magazine, Edibles, about a woman in Lebanon who worked with famous chefs to create a cookbook of soup recipes, Soup for Syria. All proceeds will be donated to the United Nations High Commission for Refugees. You can view and buy the book here: LINK. 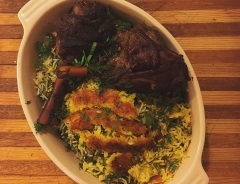 And finally, there are numerous great Middle Eastern restaurants in San Diego. Here is a link to the top handful: LINK. While you are ordering the cookbook, you might consider one of Schami's other books. These two are both highly rated, Damascus Nights (which features Uncle Salim LINK) and The Dark Side of Love (LINK). I've been reading Damascus Nights and am thoroughly enjoying it. It is said to be along the same vein as A Thousand and One Nights (Arabian Nights), famous for the legends of Ali Baba, Sinbad the Sailor and, Alladin: LINK. If you really want to get into A Thousand and One Nights, you can watch a comedy/fantasy version on Amazon Video: LINK or read an online version for free here: LINK. Two quick links you can peruse are an overview of Syrian culture here: LINK and photo montage of what Damascus looked like in the 1960's: LINK. I hope you have been able to start the book as it is a delightful, smooth reading experience. Our young man protagonist and his beloved friend, Uncle Salim, are a wonderful pair of wise Damascenes who love their city and their people, yet are struggling with their growing erratic and oppressive government. Have you heard or used the phrase "The Road to Damascus"? It originated from the Bible story, when St. Paul (known as Saul at the time) had an epiphany while traveling on the road to Damascus which led him to convert to Christianity. Today, the expression is used to describe a moment of great insight or dramatic transformation of attitude or belief.